Former President Jimmy Carter in a new interview said he regrets putting an end to playing "Hail to the Chief" whenever the president enters the room. "I went too far in -- because I did -- I did away with all the ruffles and flourishes and that sort of thing for a little while. 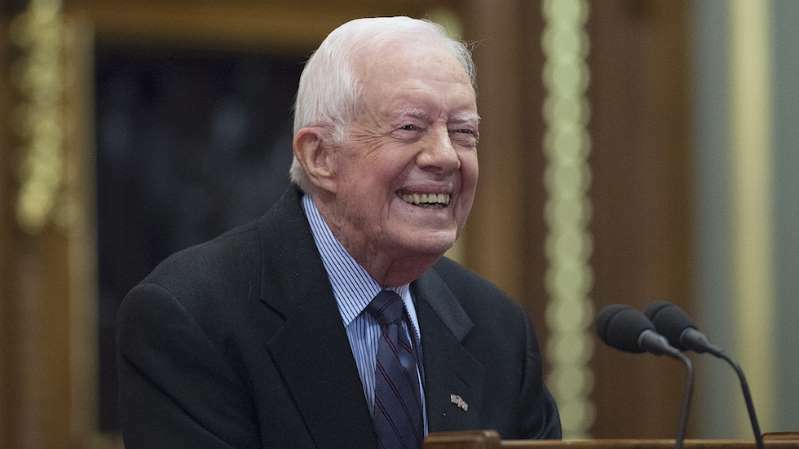 But it was so unpopular with the American public -- because they wanted to show reverence to the president that I undid it," Carter told MSNBC's Chris Matthews in a new interview on Sunday. The conversation with Carter, 94, is part of an MSNBC special, "Headliners," featuring Carter, who is the oldest living ex-U.S. president. Matthews, 72, served under Carter as a speechwriter and subsequently worked as chief of staff to former Democratic House Speaker Tip O'Neill for six years before eventually becoming a fixture in Washington political media. Carter won the Nobel Peace Prize in 2002 "for his decades of untiring effort to find peaceful solutions to international conflicts, to advance democracy and human rights, and to promote economic and social development." The interview will air on MSNBC at 9:00 p.m. EDT Sunday night.